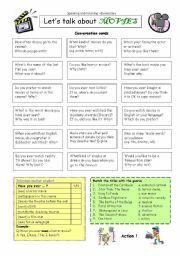 This worksheet contains 18 conversation cards, an interview box and a matching exercise. The cards can be cut out if desired and be used as conversation questions. Can be used with both young learners and adults (elementary to intermediate). 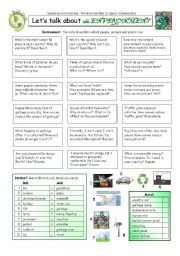 Many other conversation worksheets available: just search for ´Let´s talk about´ or check my uploaded wss. 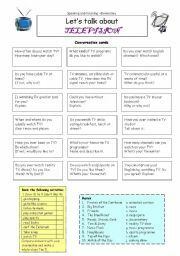 This worksheet contains 18 conversation cards and two vocabulary matching exercises (and some pictures). The cards can be cut out if desired and be used as conversation questions. Can be used with both young learners and adults (elementary to intermediate). 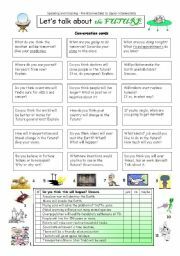 This worksheet contains 18 conversation cards, a ranking and a matching exercise. The cards can be cut out if desired and be used as conversation questions. Can be used with both young learners and adults (elementary to intermediate). 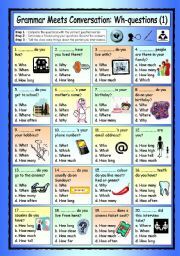 This worksheet contains 18 conversation cards, a matching exercise with pictures and a matching exercise with British and American English. The cards can be cut out if desired and be used as conversation questions. Can be used with both young learners and adults (elementary to intermediate). 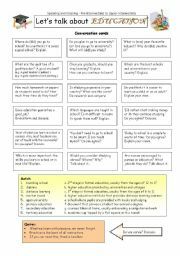 This worksheet contains 18 conversation cards and an interview box with matching exercise. The cards can be cut out if desired and be used as conversation questions. Can be used with both young learners and adults (pre-intermediate to upper-intermediate). 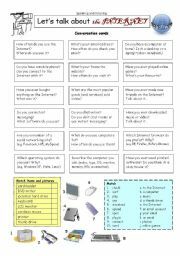 This worksheet contains 18 conversation cards, a vocabulary matching exercises and a small family tree. The cards can be cut out if desired and be used as conversation questions. Can be used with both young learners and adults (elementary to intermediate). 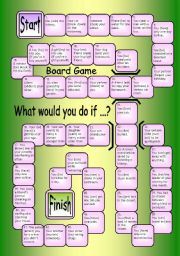 With this board game students will practise the second conditional. Please review necessary grammar before the game to make it a success. Encourage longer answers and stimulate discussion to improve fluency. (You might need to alter some of the ´adult´ questions if you´re working with young teens). Enjoy. Basic phonics exercise for (very) young learners or beginners. 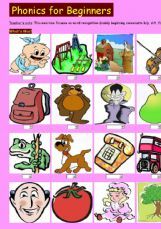 It contains 20 pictures with 3-letter words (consonant-vowel-consonant or CVC). Students can click on the Sound icon and listen to the word if they don´t know it. Online reading text about giant pandas with 40 questions focusing mainly on verb tenses: present simple/continuous/perfect. Other questions target modal verbs, passive voice, vocabulary and understanding. Enjoy! Verb tense review exercise covering Present and Past simple, continuous, perfect; and future with will and going to. 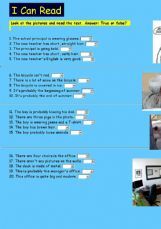 Reading exercise with True/false questions based on photos. It can be used with older children, teens and even students preparing for TOEIC or TOEFL. Vocabulary for Young Learners: What colour are the fish? Multiple choice online exercise for young learners focusing on colours. 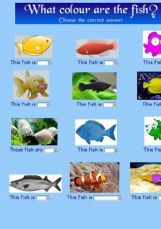 Students need to click on the right colour(s) of the 15 fish pictures. Enjoy.